Seems like Nexus users are not the first ones who get to try out Android 7.0 Nougat before everyone else. The tech giant has announced LG G5 Android Nougat update for a limited number of users who get to try the developer build before everyone else. Google Nexus users in the United States may benefit from the official public release of Nougat before everyone else. 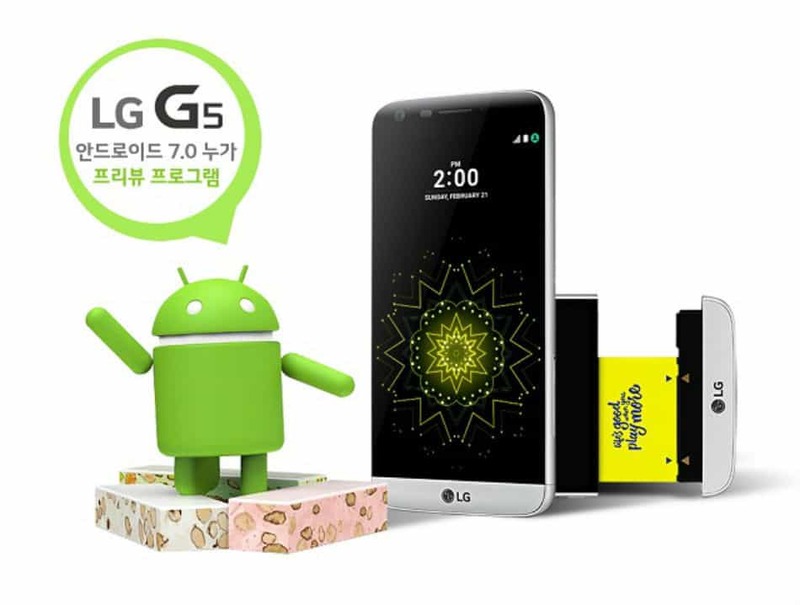 However, LG is offering users from South Korea the LG G5 Android Nougat update. If you are among the South Korean LG G5 users who are eligible for the developer preview of Android Nougat, you’re probably too late. The strictly limited beta testing is available to only 2000 users on a first come first served basis. Eligible LG G5 Korean users need to download the OS Preview app from the Google Play Store to sign up for the beta testing program. LG has also opened up a customer feedback dedicated for the Nougat update for the beta testers. However, users in the United States can expect the public and hopefully, a bug-free release of Android Nougat. Google will be releasing its next generation of Nexus devices, alongside the new software update for all current Nexus devices. Hopefully, LG G5 Android Nougat update may come to other regions under the same beta testing program. Let us know if you are among the chosen users who have been bestowed the latest Nougat update before everyone.